Background Chronic disease prevention and screening (CDPS) has been identified as a top priority in primary care. However, primary care providers often lack time, evidence-based tools, and consistent guidelines to effectively address CDPS. Building on Existing Tools to Improve Chronic Disease Prevention and Screening in Primary Care (BETTER) is a novel approach that introduces a new role, that of the prevention practitioner; the prevention practitioner meets with patients, one on one, to undertake a personalised CDPS visit. Understanding patients’ perspectives is important for clinicians and other stakeholders aiming to address and integrate CDPS. Aim To describe patients’ perspectives regarding visits with a prevention practitioner in BETTER 2, an implementation study that was carried out after the BETTER trial and featured a higher proportion of patients in rural and remote locations. Design & setting Qualitative description based on patient feedback surveys, completed by patients in three primary care clinics (urban, rural, and remote) in Newfoundland and Labrador, Canada. Method Patients’ perspectives were assessed based on responses from 91 feedback forms. In total, 154 patients (aged 40–65 years) received ≥1 prevention visit(s) from a prevention practitioner and were asked to provide written feedback. In addition to demographics, patients were asked what they liked about their visit(s), what they would have liked to be different, and invited to make any other comments. Qualitative description was used to analyse the data. Results Four main themes emerged from patients’ feedback: value of visit (patients appreciated the visit with a prevention practitioner); visit characteristics (the visit was personalised, comprehensive, and sufficiently long); prevention practitioners' characteristics (professionalism and interpersonal skills); and patients’ concerns (termination of the programme and access to preventative care). Conclusion Patients appreciated the visits they received with a prevention practitioner and expressed their desire to receive sustained CDPS in primary care. Despite the outcome measures, descriptive statistics, and the input from participants in the BETTER 2 programme, one perspective was missing: that of patients. What did patients think of their visits with a prevention practitioner? Did those who received this perceive it as a duplication of services or unnecessary? Did they like it? If they did, what did they like about it? What would they have liked to be different? The literature suggests that patients often have a different view of their needs than their primary care providers.10 Understanding patients’ perspectives is important for clinicians and other stakeholders aiming to address and integrate CDPS; as such, this study aimed to describe patients’ perspectives of the BETTER approach and the prevention visit(s) they received with a prevention practitioner as part of the BETTER 2 programme. brief action planning,6 a structured approach to behaviour change based on the principles of motivational interviewing. The role of prevention practitioner was taken on by a licensed practical nurse in the rural site, a nurse practitioner shared between two small remote communities, and a nurse practitioner in an urban academic practice. Waiting-room posters, clinician referral, the media (for example, news articles), and mail-out invitations were used to invite patients aged 40–65 years to enroll in BETTER 2. Interested patients contacted their clinic to receive more information about the study and schedule a prevention visit with the prevention practitioner. Patients provided written informed consent at their first visit and were invited to attend a follow-up visit with the prevention practitioner approximately 6 months later. After each prevention visit (baseline and follow-up), patients were provided with a feedback form and information letter, which invited them to give the study team feedback on the programme and their prevention visit(s). Providing feedback was voluntary and was completed by submitting﻿ anonymous forms using a closed comment box located in each clinic’s waiting area or through the mail using a pre-addressed, stamped envelope. Patients were made aware that submitting their completed feedback form to the study team indicated that they were consenting to participate in that component of the study. CDPS = chronic disease prevention screening. CFIR = Consolidation Framework for Implementation Research. RCT = randomised controlled trial. Patients were initially invited to participate in telephone interviews, but only two patients over the course of 2 months participated. These two patients gave positive reviews of BETTER 2 and the team recognised that there was a risk of selection bias as patients who were unhappy were less likely to participate in interviews. Given the low response to requests for telephone interviews, and as patients had already committed a significant amount of time to the project (approximately 3 hours per visit including filling out surveys, travel time, and so on), the team designed a patient survey to obtain feedback. Patients who completed at least one visit with a prevention practitioner were invited to fill out a feedback form that was designed to take around 5–7 minutes to complete. Survey responses were collected and sorted by question in Microsoft® Excel. Two investigators with expertise in qualitative methods performed a first iteration of data analysis independently using content analysis and qualitative description. The independent analyses were then reviewed and discussed by the same researchers, along with two other members of the larger team to ensure consensus. Minor discrepancies were resolved through discussion. In total, 154 patients (35 male [23%] and 119 female [77%]) participated in the BETTER 2 programme. A total of 91 feedback forms were returned, of which 26 (29%) were from men and 65 (71%) from women. Thirty-nine (43%) of responses were from the remote/rural areas and 52 (57%) from the urban setting. Although some patients’ comments focused on one theme, others were associated with both. limited access to preventative care. The qualitative implementation study identified that, although primary care providers (including prevention practitioners) and managers appreciated and embraced the prevention visits, some physicians questioned the value of such visits for patients.9 Interestingly, none of the patients who provided feedback shared those doubts, despite having the opportunity do to so anonymously. This study focused on patients’ perspectives of the prevention visits they received as part of the BETTER 2 study, which they perceived as beneficial, important, and meaningful. Patients also expressed their concern about the termination of the programme and their having limited access, as they saw it, to preventative care in their settings. Patients’ perspectives contribute a critical layer to the growing body of research on CDPS in primary care across urban and rural/remote contexts. Given that patients are getting more involved in the healthcare decision-making process, their experiences and perceptions are important. The authors' ability to collect 91 patient feedback forms, from a potential total of 154, is a major strength of this study; it demonstrates that a large proportion of participating patients took advantage of the opportunity to share their perspectives anonymously. Feedback was also obtained from diverse settings; 43% of completed feedback forms came from rural/remote primary care settings and 57% from urban settings. In the context of the larger study — in which patients were asked to dedicate time to the prevention visits (baseline and follow-up), completion of health surveys, and any resulting laboratory or screening tests when these were out of date — feedback forms were a non-intrusive, quick, and an easy way to collect patients’ comments and opinions. One limitation of this qualitative study is that the results are solely based on written voluntary feedback from self-selected patients who returned their feedback forms. To mitigate against this possible limitation, all patients who had received at least one visit from the prevention practitioner were also sent a copy of the patient feedback form and information letter in the post, along with a self-addressed, stamped envelope; this ensured that all participants had the opportunity to provide feedback, be it positive or not. Although this strategy could have resulted in patients submitting feedback more than once, the feedback received via mail-out was minimal. A further limitation is that it is possible that patients who were interested in CDPS are overrepresented in the sample, as participation in the prevention visits was voluntary. Finally, as feedback was kept short and concise to respect patients’ time and mitigate against the demands associated with participating in BETTER 2, participants’ responses did not allow for extensive or more-elaborate analyses, and provided only a snapshot of patients’ perspectives. Although family physicians who see CDPS as an integral part of their practice may question the effectiveness of having a prevention practitioner in their primary care setting, patients’ feedback was overwhelmingly positive and they perceived their visits with a prevention practitioner as valuable and worthwhile. Patients expressed their desire to receive sustained CDPS in primary care, across urban and rural/remote contexts, which adds an important perspective on the impact and implementation of the BETTER approach. 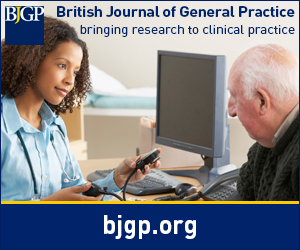 The findings presented here inform primary care teams who are interested in enhancing their CDPS practices. The authors would like to thank the BETTER 2 prevention practitioners for their participation, as well as the Centre for Collaboration, Motivation and Innovation for providing the BETTER 2 prevention practitioners with training on brief action planning. This research was made possible through a financial contribution from Health Canada through the Canadian Partnership Against Cancer (CPAC) (RES0016626). Eva Grunfeld is supported by a clinician scientist award from the Ontario Institute for Cancer Research (OICR), with funds from the Ontario Ministry of Research and Innovation (MRI). The opinions, results and conclusions reported here are those of the authors and do not necessarily reflect the views from the funders. No endorsement by CPAC, OICR or MRI is intended or should be inferred. Ethical approval for BETTER 2 was received from the Health Research Ethics Board at the University of Alberta (reference number: Pro00039331) and the Health Research Ethics Authority of Newfoundland and Labrador (reference number: 13.120). (2008) Population patterns of chronic health conditions, co-morbidity and healthcare use in Canada: implications for policy and practice. Healthc Q 11(3):70–76, doi:10.12927/hcq.2008.19859. Preventing chronic disease strategic plan 2013-2016. (accessed 10 Jul 2017). http://publications.gc.ca/collections/collection_2014/aspc-phac/HP35-39-2013-eng.pdf . (2013) Improving chronic disease prevention and screening in primary care: results of the BETTER pragmatic cluster randomized controlled trial. BMC Fam Pract 14:175, doi:10.1186/1471-2296-14-175. (2015) Developing clinical decision tools to implement chronic disease prevention and screening in primary care: the BETTER 2 program (building on existing tools to improve chronic disease prevention and screening in primary care). Implement Sci 10:107, doi:10.1186/s13012-015-0299-9. (2014) Guideline harmonization and implementation plan for the BETTER trial: building on existing tools to improve chronic disease prevention and screening in family practice. CMAJ Open 2(1):E1–E10, doi:10.9778/cmajo.20130040. (2014) Brief Action Planning to facilitate behavior change and support patient self-management. JCOM 21(1):17–29. (2014) Implementing and evaluating a program to facilitate chronic disease prevention and screening in primary care: a mixed methods program evaluation. Implement Sci 9(135):1–9, doi:10.1186/s13012-014-0135-7. (2014) Finding a BETTER way: a qualitative study exploring the prevention practitioner intervention to improve chronic disease prevention and screening in family practice. BMC Fam Pract 15:66, doi:10.1186/1471-2296-15-66. (2016) Implementation of the BETTER 2 program: a qualitative study exploring barriers and facilitators of a novel way to improve chronic disease prevention and screening in primary care. Implement Sci 11(1):1–11, doi:10.1186/s13012-016-0525-0. (2013) What patients want. Patient Educ Couns 90(3):287–290, doi:10.1016/j.pec.2013.01.005. (2013) Communicating shared decision making: cancer patient perspectives. Patient Educ Couns 90(3):291–296, doi:10.1016/j.pec.2012.02.018. (2015) Shared decision making: concepts, evidence, and practice. Patient Educ Couns 98(10):1172–1179, doi:10.1016/j.pec.2015.06.022. (2012) Shared decision making: really putting patients at the centre of health care. BMJ 344:e256, doi:10.1136/bmj.e256. (2008) Systematic review of the effects of shared decision-making on patient satisfaction, treatment adherence and health status. Psychother & Psychosom 77(4):219–226, doi:10.1159/000126073.